Gros Islet, St. Lucia, (CMC) – A boundary-studded half-century from Devon Smith in an enterprising century stand with fellow opener Tyrone Theophile, led a bold reply for Windward Islands following strong batting from Jamaica in the Headley/Weekes Trophy Final on Sunday here. Smith was unbeaten on 66 and Theophile was not out on 44, as the Windwards reached 113 without loss at the close on the second day of the finale to the Regional Four-Day Championship, still 279 in arrears on first innings. This followed half-centuries from Nikita Miller and Andre McCarthy on the hard, true Beausejour Cricket Ground pitch that inflated Jamaica’s first innings total to 392 before they were dismissed about five minutes before tea. Miller led the lower-order resistance with an unbeaten 64, McCarthy gathered 62 and Damion Jacobs added 30 to follow up on half-centuries from Jermaine Blackwood and opener Nkrumah Bonner the previous day. Kenroy Peters was the pick of the Windwards bowlers with three for 59 from 27 overs, Mervin Matthew supported with three for 68 from 31 overs and Shane Shillingford, bowling with his damaged left middle finger heavily strapped, ended with two for 55 from 16.1 overs. Smith then typically treated the Jamaica new-ball pair of Jerome Taylor and Sheldon Cottrell with disdain, and was particularly severe on anything short with his trademark cuts and pulls. He reached his 50 from 63 balls in the final hour of the day, when he tucked a delivery from Dave Bernard Jr to fine leg for a single. He has so far struck eight fours from a total of 94 balls in just over two hours at the crease. Theophile, batting with a sore hand which he injured in the field the previous day, lived a charmed life and was fortunate to have survived until stumps, as he stroked two fours and one six from 98 balls. 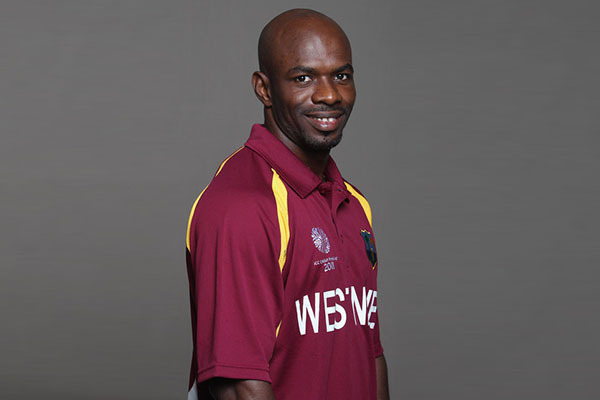 He was dropped on six at slip off left-arm fast bowler Sheldon Cottrell, on 18 when Bernard failed to hold a high, return chance, and on 24 when he edged the same bowler high to wicketkeeper Carlton Baugh Jr’s right. Theophile also drove a low, but wide and difficult chance to extra cover fielder John Campbell, when 32, off Jamaica captain Tamar Lambert, bowling his uncomplicated off-spin. Earlier, Jamaica reached 298 for six at lunch, after they stumbled with the loss of three wickets inside the first hour of the morning. Starting the day on 232 for three, the Jamaicans suffered an early setback, when Lambert was caught behind for 18, touching a delivery from Peters in the fifth over of the morning. Baugh came to the crease and spent close to an hour, moving the visitors past 250 with resolute batting, before he was caught at slip for eight in the first over of the day from Mathew, who also had Bernard caught behind for a duck, leaving Jamaica on 266 for six. In between, McCarthy drove Johnson into the off-side to reach his 50 from 126 balls, but he spent nearly 20 balls spanning a period of 45 minutes scoreless before breaking the shackles with a pair of boundaries off Mathew – a cut through backward point and a pull over mid-wicket just before lunch. After the interval, McCarthy stayed long enough to usher Jamaica past 300 with Miller before he gave a return catch to Windwards captain and off-spinner Liam Sebastien from a leading edge, trying to play into the leg-side. He struck half-dozen fours from 163 balls in a little more than 3-½ hours at the crease. Miller, whose 104 balls innings contained just three boundaries in close to 2 ½ hours, held the lower order together with responsible batting. He added a valuable 57 with Jacobs to take the Jamaica past 350 before two wickets fell in the space of three balls. Jacobs was caught at extra cover off Peters and Jerome Taylor was caught on the boundary for five, trying to clear long-off with Shillingford, who brought the innings to a close when he had Sheldon Cottrell caught at mid-wicket for 13, following a last-wicket flurry with Miller, as the visitors chased the 400-run threshold. The Headley/Weekes Trophy was inaugurated five years ago in honour of the late Jamaica and West Indies batting legend George Headley, and living Barbados and West Indies batting legend Sir Everton Weekes. Jamaica 1st Innings: 392 All Out (147.4 Overs). Jermaine Blackwood 94, Nkrumah Bonner 88, Nikita Miller 64*, Andre McCarthy 62; Mervin Matthew 31-8-68-3, Kenroy Peters 27-7-59-3, Shane Shillingford 16.1-0-55-2, Liam Sebastien 47.3-7-103-1. Windward Islands 1st Innings: 113/0 (32 Overs). Devon Smith 66*, Tyrone Theophile 44*; Damion Jacobs 1-0-1-0, Tamar Lambert 5-1-12-0, Nikita Miller 11-3-34-0, Dave Bernard 6-0-21-0.